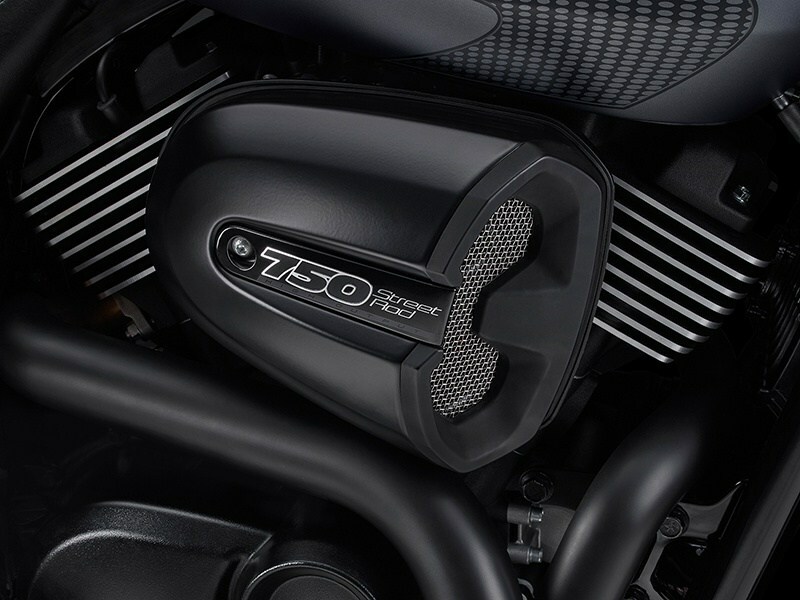 Give your soul a jolt with 750 cc of adrenaline from the new High Output Revolution X™ engine. NEW HIGH OUTPUT REVOLUTION X™ 750 ENGINE: New High Output Revolution X™ 750cc engine features a dual throttle body, new cylinder heads, enhanced intake ports and cams, a 12.0:1 compression ratio that delivers 18% more horsepower and 8% more torque than the Street 750. TRUE HARLEY-DAVIDSON SOUND: True Harley-Davidson Sound A motorcycle isn’t a Harley-Davidson® motorcycle unless you can identify it with your eyes closed. Listen to the sound coming from the new shorter and wider pipes on the Street Rod™, feel its deep, thumping rumble in your chest, and you’ll know it passes that test with flying colors. The note coming from this machine was tuned to perfection in our state-of-the-art sound facility to be instantly recognizable on any street corner in the world. LED TAIL LIGHT AD FRONT/REAR TURN SIGNALS: It’s the small details that make a motorcycle look modern, sleek and tight. Like a curved LED tail light with integrated Bar & Shield logo and rear LED turn signals. On the Street Rod™ bike they’re done right. LOCKING GAS CAP, FORK LOCK AND IGNITION LOCK: The city is full of obstacles – even when the bike is parked. 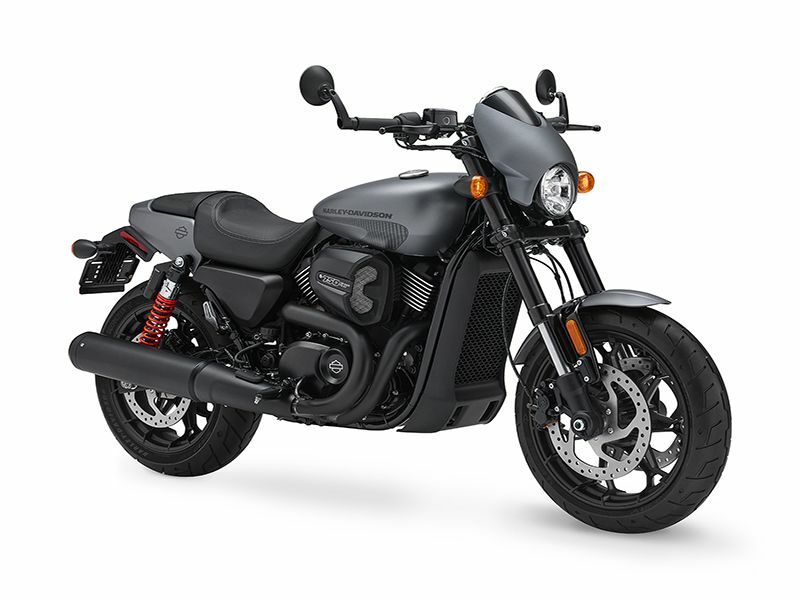 The Street Rod™ bike features a locking gas cap, a fork lock that prevents the front wheel from being turned when it’s engaged and an ignition lock to keep the bike protected. 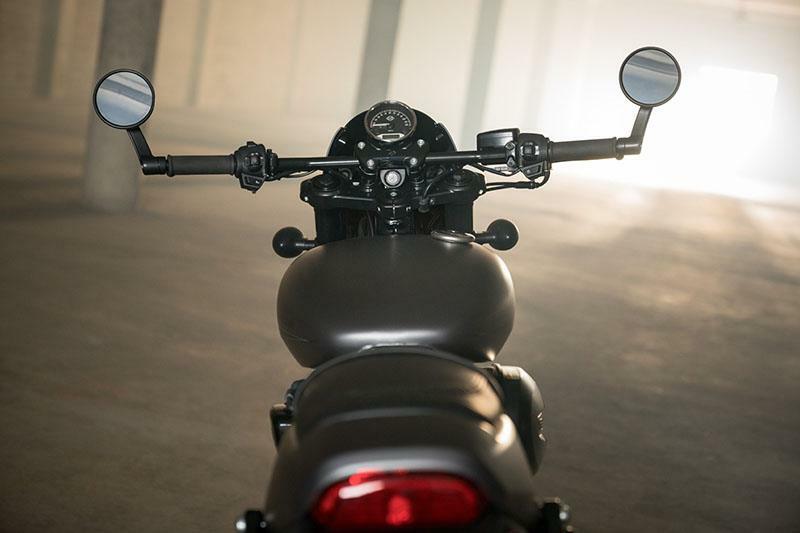 DRAG BARS WITH BAR-END MIRRORS: The performance soul of the Street Rod™ bike is felt as soon as you take hold. 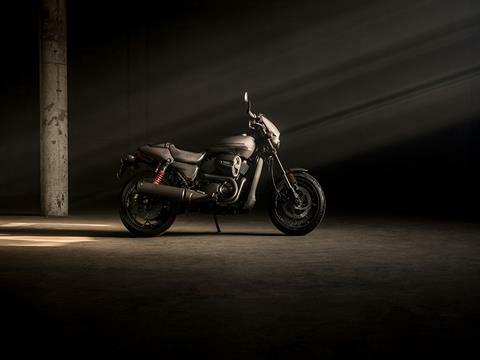 The drag-style bars with bar-end mirrors make for a sportier and aggressive riding position to take on the traffic-snarled urban jungle. 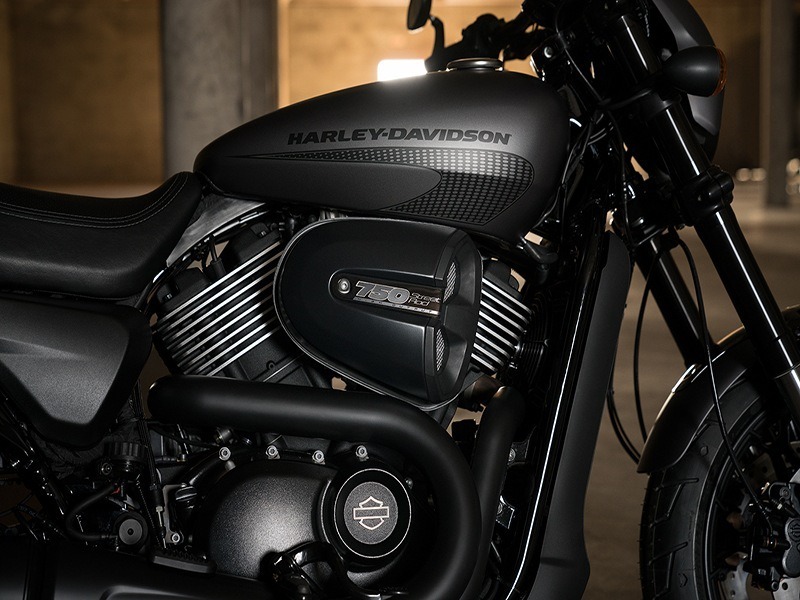 COLOR-MATCHED SPEED SCREEN: The Street Rod™ makes heads turn. The new color options with color-matched speed screens with a black insert make a statement. Choose from Vivid Black, Charcoal Denim and Olive Gold. 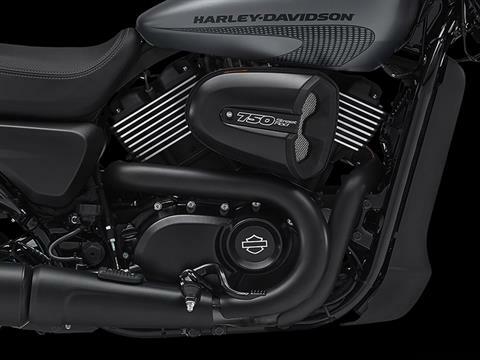 REVOLUTION X™ ENGINE STYLING: The engine is the heart of a motorcycle and the heart of the Street Rod™ is black. Check out the blacked-out finish on the High Output Revolution X™ engine. You’ve got blacked-out cylinders and heads and a new high output black air cleaner. There’s just a touch of polished metal on the cylinder fins to bring out the classic, muscular, iconic lines of the V-Twin. 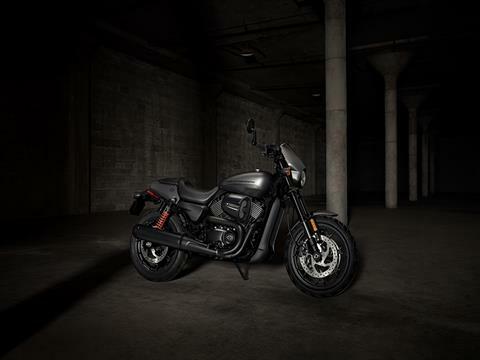 The look of the Street Rod™ is pure, unadulterated, blacked-out, Harley-Davidson. 3.5 GALLON TEAR DROP TANK: To take on the urban jungle, you need a bike forged with steel. The Street Rod™ bike has a 3.5 gallon metal teardrop tank with a new fast graphic and Harley-Davidson script to show it’s the real deal. BLACK OPEN SPOKE CAST ALUMINUM WHEELS: Where the Street Rod™ bike meets the pavement – that’s where the custom look begins. The black, lightweight 17-inch, 7-split open spoke cast aluminum wheels provide an uncompromising custom look with unparalleled easy steering. LIGHTWEIGHT FRONT FENDER AND PERFORMANCE TRAIL SECTION: A lightweight front fender with black fender bracket plus the 2-up seat performance tail section give the Street Rod™ bike a sleek, refined look from front to back. DUAL DISC BRAKES WITH DUAL PISTON CALIPERS AND OPTIONAL ABS: Dual disc front brakes with dual piston calipers provide premium braking performance, quick reaction and stopping power. 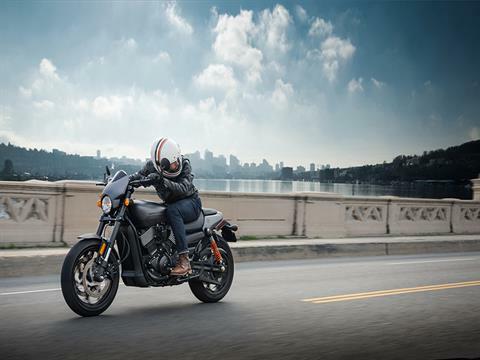 NEW FRONT AND REAR SUSPENSION: New 43mm inverted front forks and rear piggyback shocks offer increased suspension travel and are tuned for a sportier ride and greater lean angle. MICHELIN® SCORCHER® 21 TIRES: When you have the combination of this much power and agility, you want sticky rubber to make the most of it. 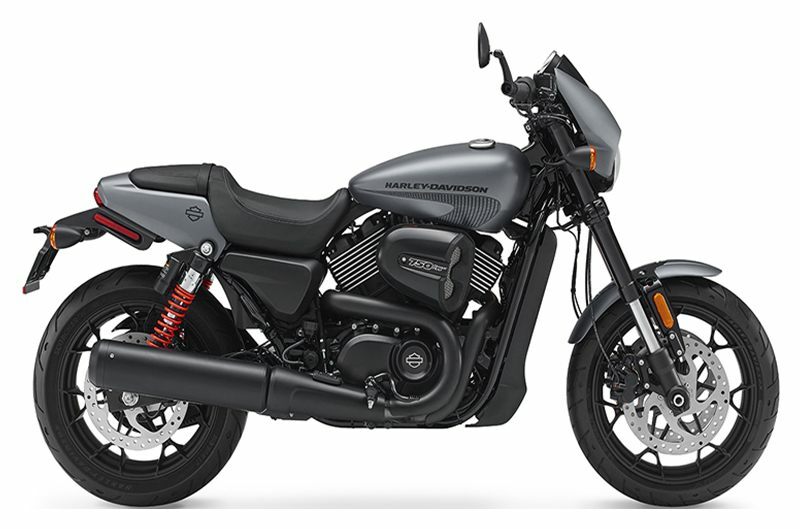 The Street Rod™ bike delivers with Michelin® Scorcher® 21 tires. TWO-PIECE 2-UP SEAT WITH PASSENGER FOOT PEGS: There’s not much point to being young and free in the city if you can’t give a ride to someone you meet when you’re out making your rounds. The Street Rod™ gives you a two-piece 2-up seat with a 29.8” seat height versus the 25.7” seat height of the Street 750, a perforated finish and a French stitch pattern along with foot pegs for your passenger. Sometimes two is more fun than one. As Shipped - 497 lb. In Running Order - 516 lb. 3.5 inch electronic speedometer with high beam, neutral, low oil pressure, turn signals, engine diagnostics, low fuel warning, blad key ignition and fork lock, and locking gas cap.